to be efficient and easily accessible. 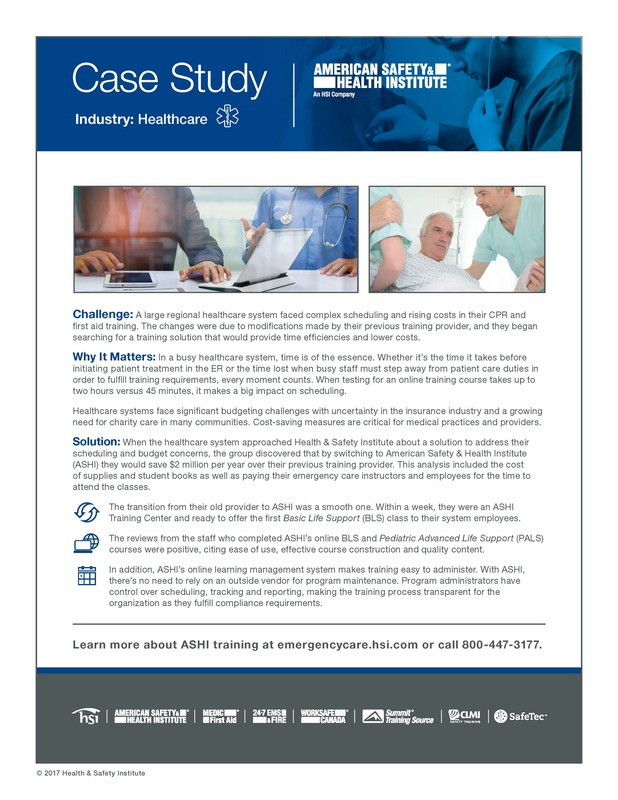 learn how this healthcare system quickly implemented an ASHI emergency care program to deliver CPR and first aid training, while saving $2 million per year and providing a better training experience for its staff. Access your copy by completing the form on the right and clicking "Submit."